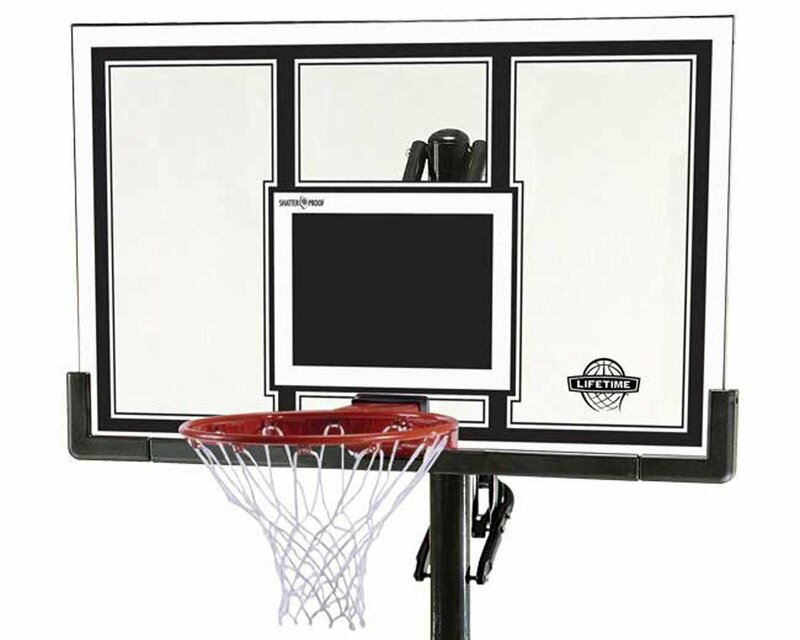 The Lifetime 71525 is an in ground basketball hoop system which features a 54 inch shatterproof backboard that is made of Makron polycarbonate, Power lift height adjustment technology which makes height adjustment a breeze, and Slam -It Pro Rim that can withstand slam dunks. Assembly is straight forward, but it is a lot of work. Because this is a 3 piece pole, there are quite a lot of little parts that may get misplaced so attention to detail is recommended to have the installation go smooth. For lifting the heavy parts, you may want to have another person help you to make the installation faster. You may have to wait for about 72 hours after pouring the cement for it to settle. There is also an option to purchase a sleeve separately. This is nice to have so that you can move your in ground hoop if you ever need to. For the latest prices on Amazon, click here. With the Power Lift Height Adjustment mechanism, adjusting the height of this goal is quite easy. 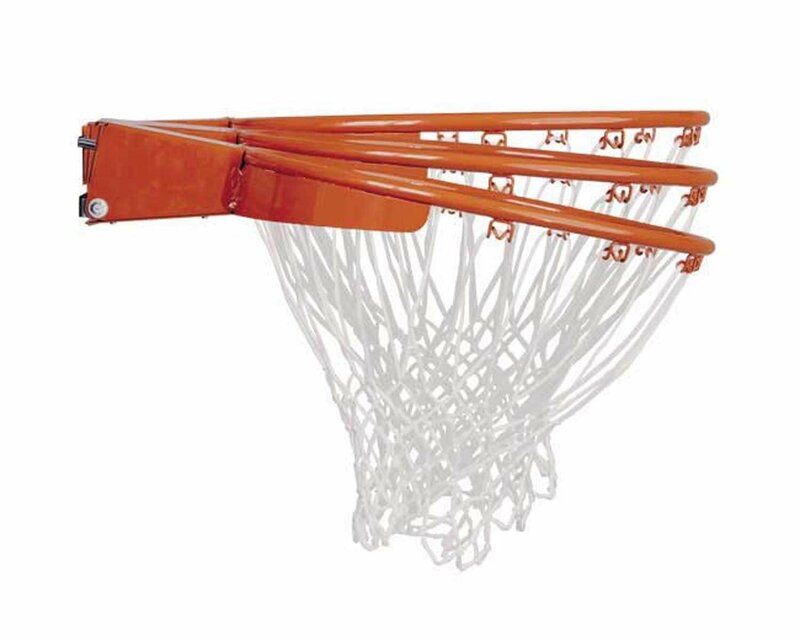 You have to squeeze the handle and lower or lift the goal. It can be adjusted from 7.5 feet up to 10 feet with unlimited increments, which is quite nice if you want a truly customized height for your rim. The build quality is not the best out there, which is really expected especially in this price range. But it does its job. The backboard is made of sturdy materials but there is noticeable movement admittedly. 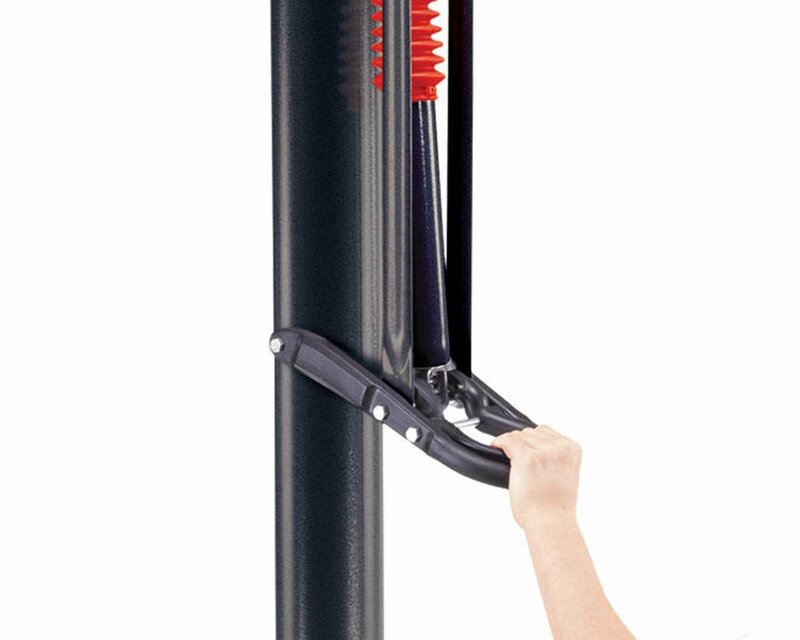 The steel pole is protected by an all-weather proof powder coating finish which makes it rust and corrosion proof. The Slam-It Pro rim is also a very sturdy rim and can actually take some dunks, but this will also depend on the strength of your cement base so be sure to install it properly if you are planning to slam on this hoop. While this is not the best in ground hoop system out there, it is still a good buy. For the price, you get a hoop that is simple to install, easy height adjustment, and a nice rim. The backboard and poles could use some improvement aesthetically, but they do get the job done. 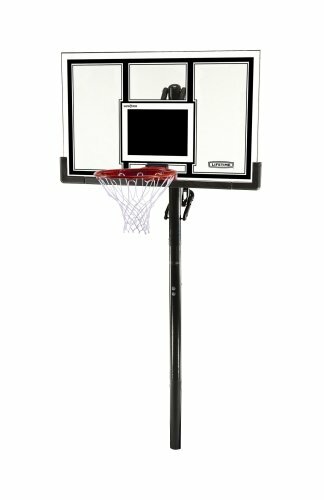 For the budget conscious hoop shopper, the Lifetime 71525 In Ground Hoop System should definitely on your short list.